In today’s technology age, more people than ever want to have access to information at the touch of a button. Your pet’s health information is no different. So here’s a step-by-step guide on how to use our website’s portal. 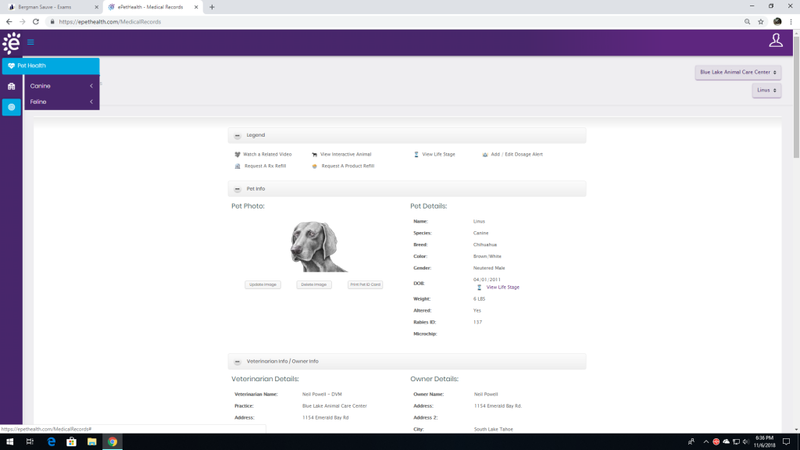 Through it, you can access your pet’s recent medical history, vaccines, medications, and even print a medical card for travel. This information could be critical during the event of an emergency at another hospital, or if travelling in another location. 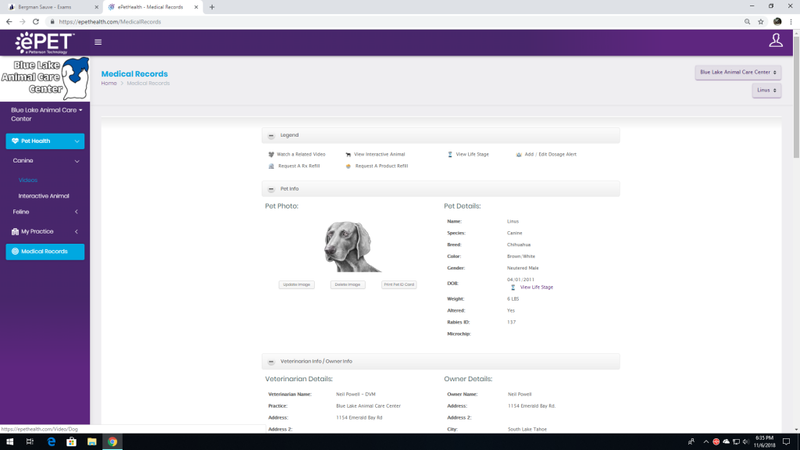 Plus, it gives you access to information to research your pet’s medical conditions. 2. 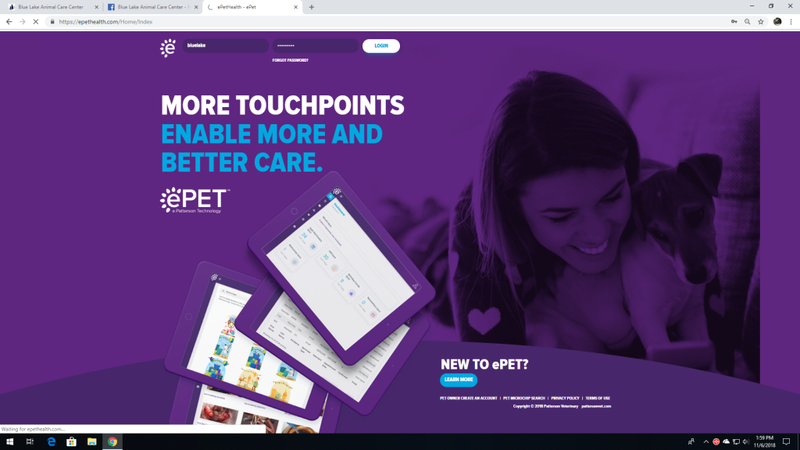 After registering and logging in, click on the link marked “New to ePet?” Once you register your email address(you must use the same email address that is registered with our hospital), you can log on to give you access to your pets’ profiles. 3. As seen above, select one of your pets, and it will bring up their medical history, records, and vaccine history. If you want, you can replace the cartoon image with a real photo of your pet. 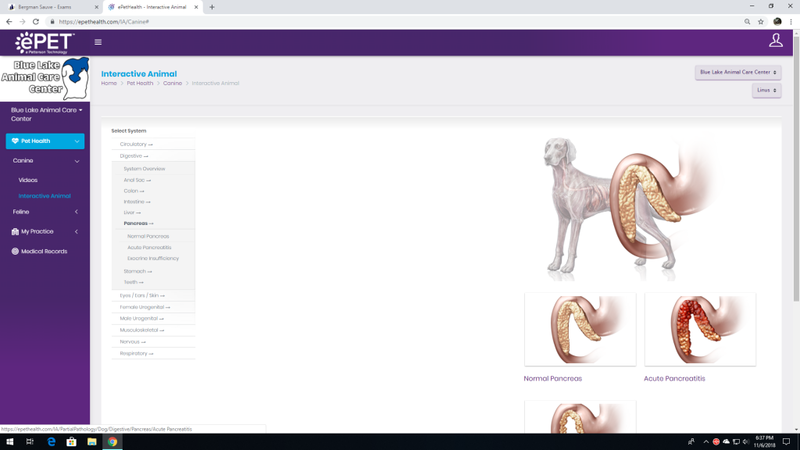 Another great feature of the portal is the access you get to various articles and videos on various diseases through the interactive animal software. 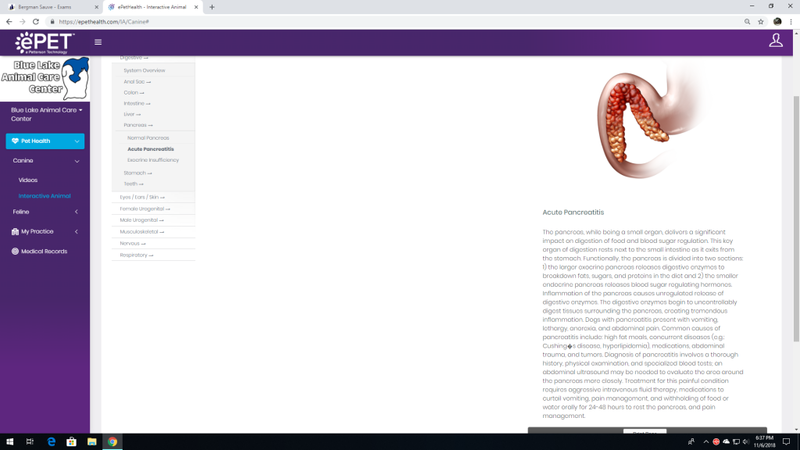 These are veterinary approved articles that you can review for things such as cruciate tears, kidney disease, pancreatitis, etc. 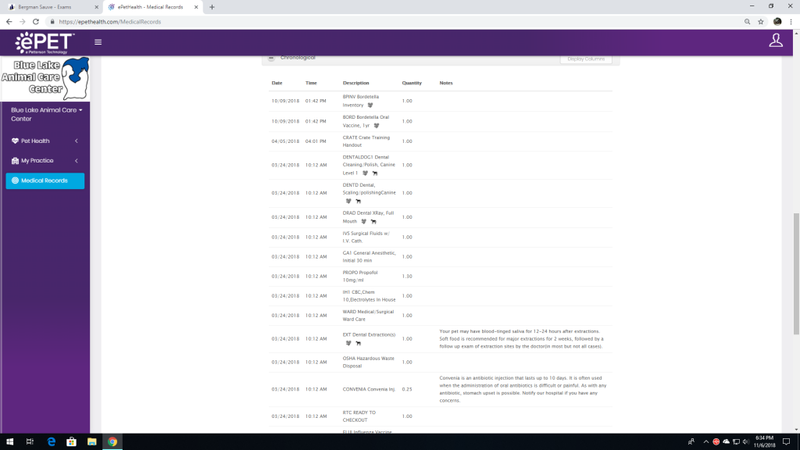 And it’s free for all our clients to use! How cool is that? 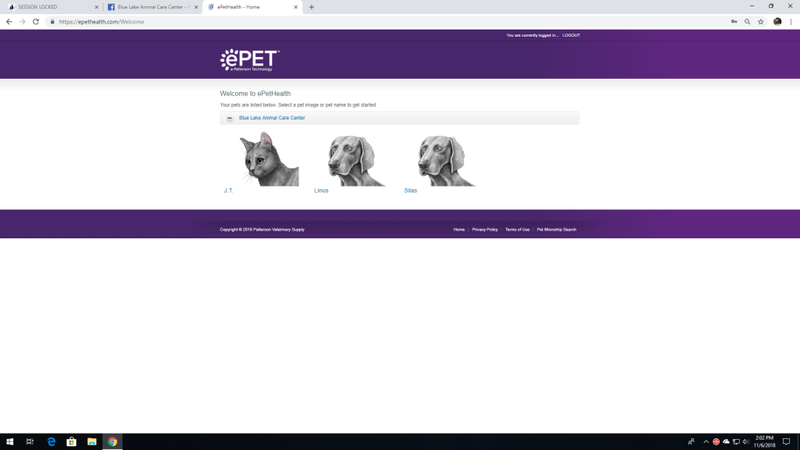 We hope that you visit your pet portal at epethealth.com or bluelakevet.com. 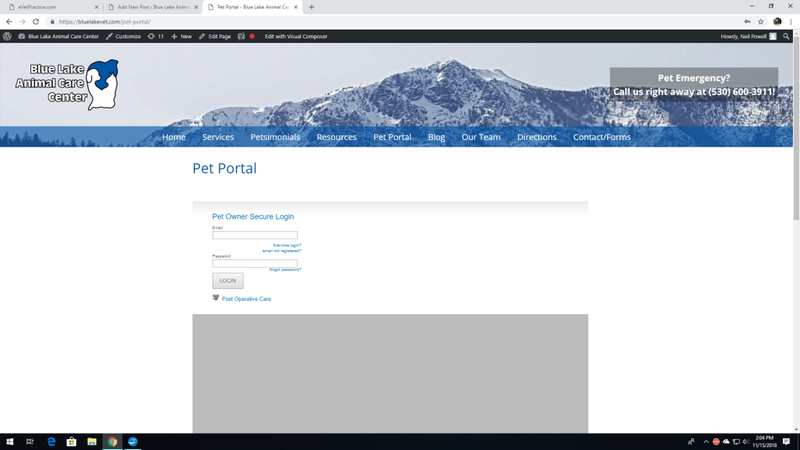 We know that many of you will find information on these pages very helpful, both for research, as well as access to your own pets’ important health records. As always call us at 530-600-3911 if you have any questions. Thanks!